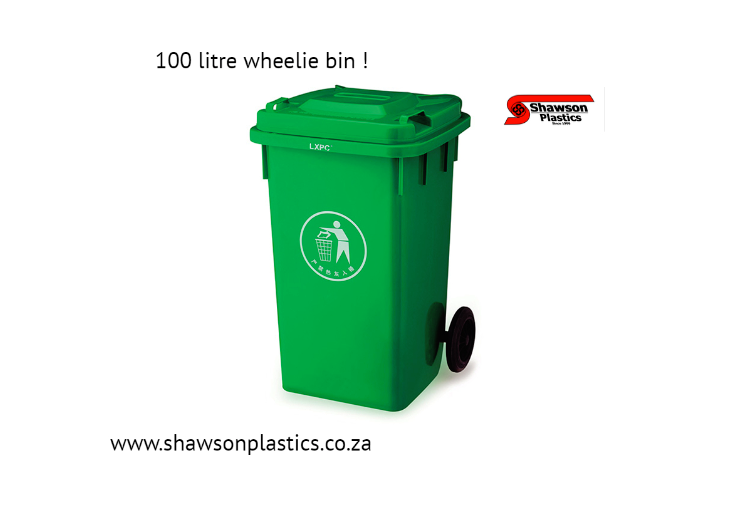 Shawson Plastics supplies a wide range of Wheelie Bins, Lets have a look at some of the more unusual ones ! 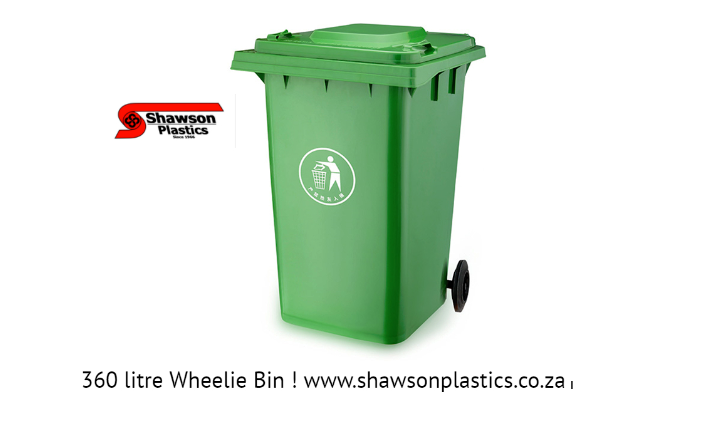 The 70 litre wheelie bin, supplied by Shawson Plastics, is a great option for indoor use, it also comes with a PEDAL ! 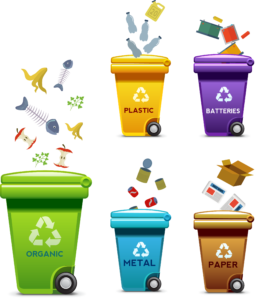 The 100 litre wheely bin is an ideal option for recycling outdoors, its heavy duty construction, while at the same time being compact in size, is well suited for Residential and Office Outdoor recycling, and waste management solutions ! Complete with two solid wheels and a metal shaft. This bin comes in green, yellow, blue, orange and grey. 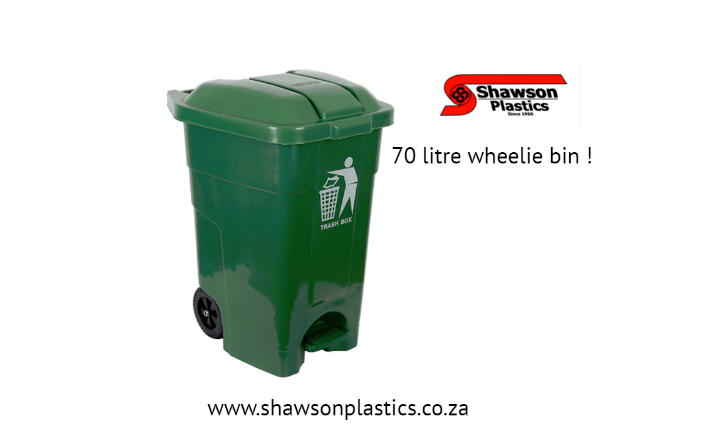 A firm favourite with many of our clients, these 120 litre and 240 litre wheelie bins with Pedals are a great solution where users of the bins are working with food ,for example. 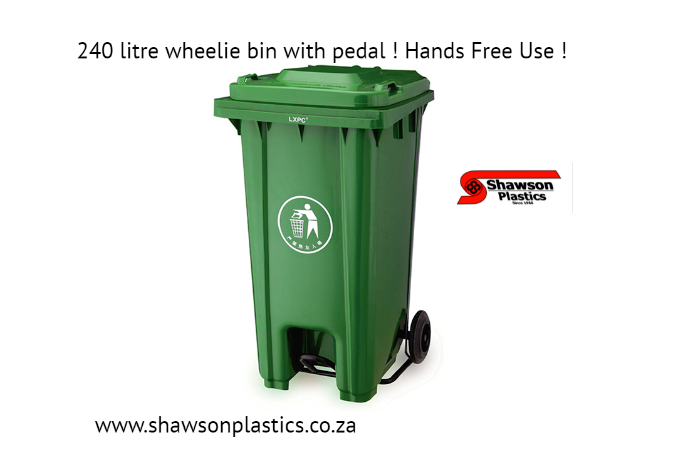 The Hands Free feature of these 120 litre and 240 litre wheelie bins with pedals enables users to open and close the bin without touching the bin with their hands ! This helps with Hygiene Control on Site. 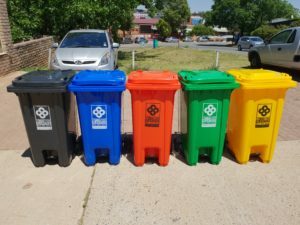 These bins come in green, yellow, blue, orange and grey. These bins come with two solid wheels and a metal axle. 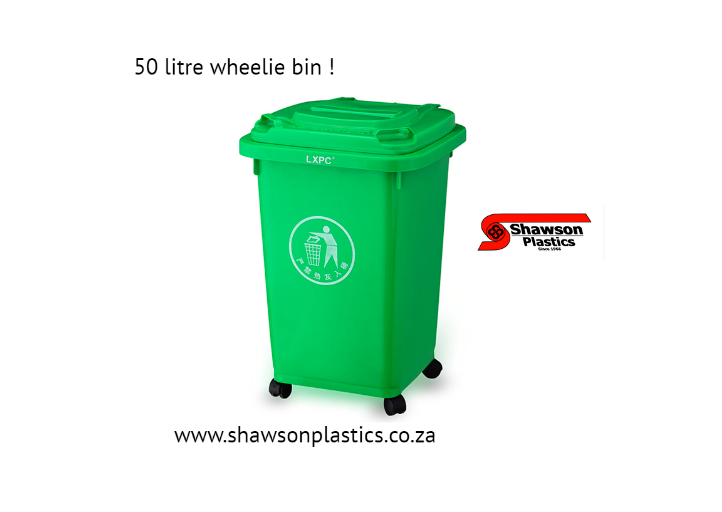 The largest of the 2 wheeled range of wheelie bins supplied by Shawson Plastics, the 360 litre is approximately 50 % larger than the standard 240 litre wheelie bin that many of us have outside our house, school or workplace. Available in green, yellow, blue ,orange and grey. This bin comes with two solid wheels and a metal axle. Ideal for bulk outdoor waste requirements. Please give us a call on (South Africa) 011 792 1916 for any information, we look forward to assisting you ! Please note that a 10% handling charge will be applicable for goods ordered and returned to Shawson Plastics. SHAWSON PLASTICS accepts Cash, Credit and Debit cards and Electronic transfer payments (EFT), our bankers are ABSA BANK ,so kindly note that EFT payments done from other banks will need to reflect in our account BEFORE goods are dispatched/released from our warehouse. This may take up to 48 hours. We unfortunately cannot accept a faxed/emailed proof of payment without the funds reflecting in our account. If your bank is not ABSA BANK, and you require same day order and collection/dispatch, we would encourage you to please make use of one of the other forms of payment to avoid any delays on receiving goods. CHEQUES NOT ACCEPTED. Thank you!